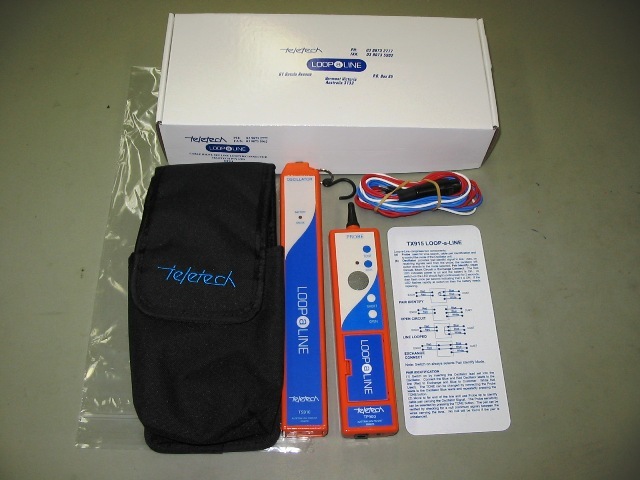 These are Teletech products that are no longer available. Many of these products have now been superseded with new models. A multi-function tester for the qualification of copper pairs prior to the installation of high speed digital equipment such as pair gain systems, xDSL and ISDN. 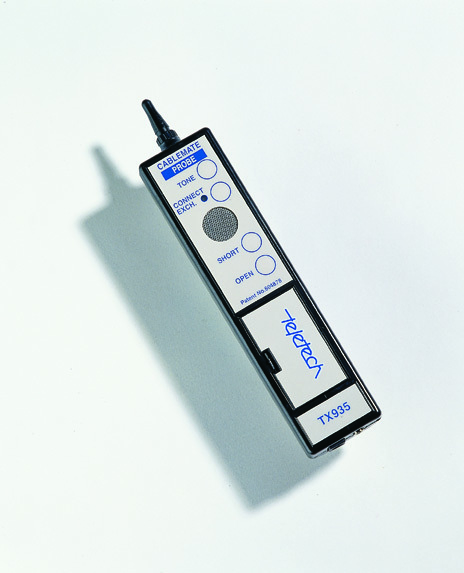 The TX120A consists of three units, the SENDER, the RECEIVER and the PROBE. Each is powered by a 9V alkaline battery and utilises circuitry designed to maximise battery life. In addition, the SENDER can be powered from the 48V exchange battery. Both SENDER and RECEIVER have a two line by sixteen character, alphanumeric LCD display for operator instructions and measurement results. TX125 Remote Test Lead Line 1 General Purpose, all with Alligator Clips. Now replaced with the Part No. 900 1811 125 with 4mm shrouded plugs for Line 1. TX180 has been super seed by the TX380. 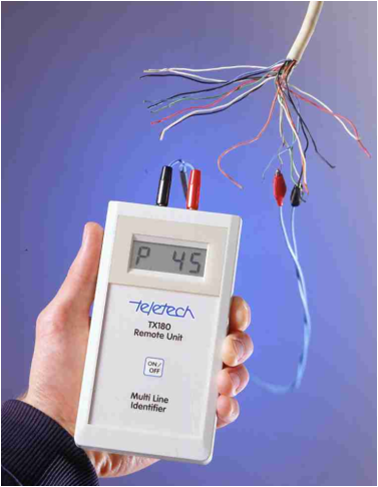 The Teletech TX180 Multi Line Identifier is a highly practical network installation and maintenance tool, used to rapidly identify all pairs in a multi-pair cable. It is a very useful product for telecommunications company activity or commercial building wiring. The TX180 Multi Line Identifier is ideal for quickly and accurately checking cabling within buildings between each telephone socket and the Distribution Frame. It is also ideally suited to identifying pairs when repairing a cable damaged by mechanical digging equipment etc. By using two or more multiplexers, each end of the cable can be quickly identified, saving hours on the normal repair time. 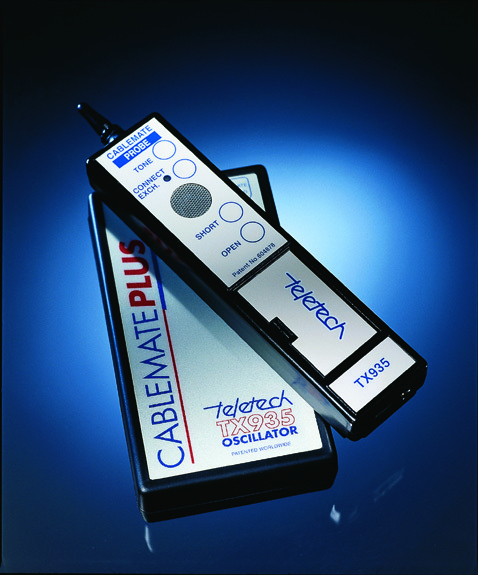 The TX180 can even identify split pairs at the cable break using a unique positive identification method and fast scanning technique. The Hand-held Identifier has an easily readable display and a pair of test leads to connect to the pair to be identified. The Display quickly shows the identity of the pair once the test leads are connected. The system operates under any circumstances where a normal telephone service will operate. •	Battery operated (Alkaline, 9V PP3). The TX320 is a product developed specifically for telecommunications companies to improve operational efficiency. It provides the functionality to upload test results into a database for permanent storage and retrieval. The TX320B is an upgraded version of the TX320. 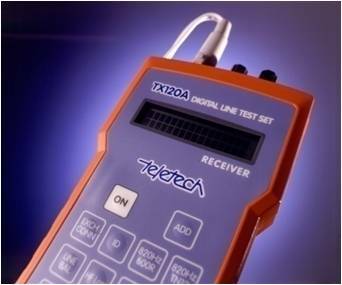 The TX320B can perform broadband tests. TX905 has been superseded by the TX916. The TX910 is a product sold only to Telstra Australia. 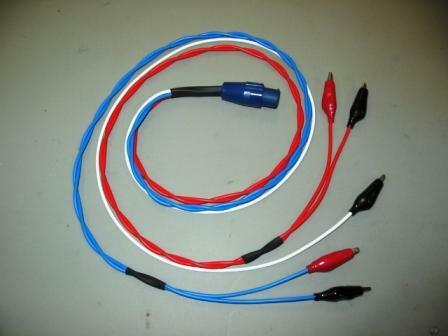 The service technician connects the Oscillator to the cable pair at the exchange MDF or street cabinet. The Oscillator starts in the 'TONE' mode allowing the technician to identify the pair at the Far End of the Line with the Probe. Several different Tones are selectable allowing multiple Oscillators to operate on the cable. After pair identification, the Probe leads may be connected to the pair and the Oscillator signalled by pressing 'OPEN' or 'SHORT' buttons, to allow foreign battery, insulation resistance, loop resistance and resistance balance checks as well as fault finding using a TDR or Resistance Bridge. After repair or installation, a final press of the 'CONNECT EXCHANGE' button restores the customer's service to provide dial or ring-back checks. 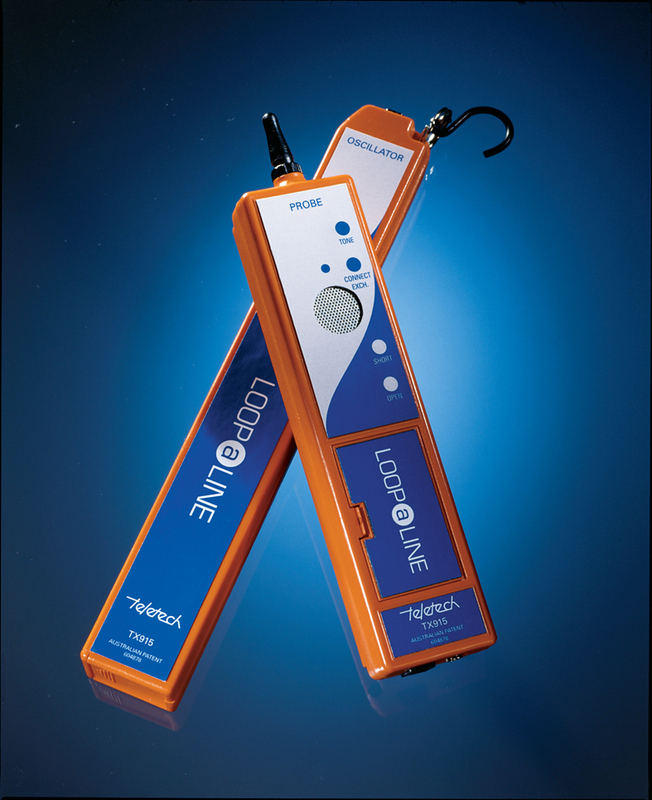 Loop a Line provides the communications technician with an instrument that cuts repair and installation costs! Loop a Line consists of an OSCILLATOR or TONE SENDER and a SIGNALLING PROBE. Two sets of test leads complete the equipment. The TX935 has been superseded by the TX916. Cablemate was a development of the well known LOOP-A-LINE, now providing the service technician with extra features which cut repair and installation costs even further! 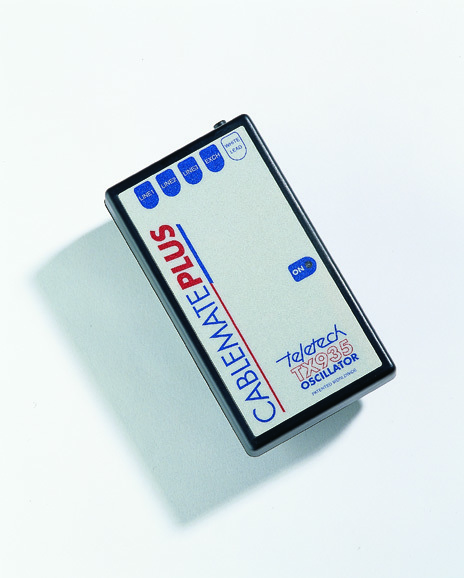 Cablemate consists of an OSCILLATOR or TONE SENDER and a SIGNALLING PROBE. Five sets of test leads complete the equipment. CABLEMATE-PLUS dramatically increases efficiency by allowing an unassisted line technician working up to 20km from the exchange to disconnect the customer's service, identify three cable pairs, open and close the loop, and re-connect the customer.